Thanks to Jim Granger, Peter J. Dufault for caption help on this page. 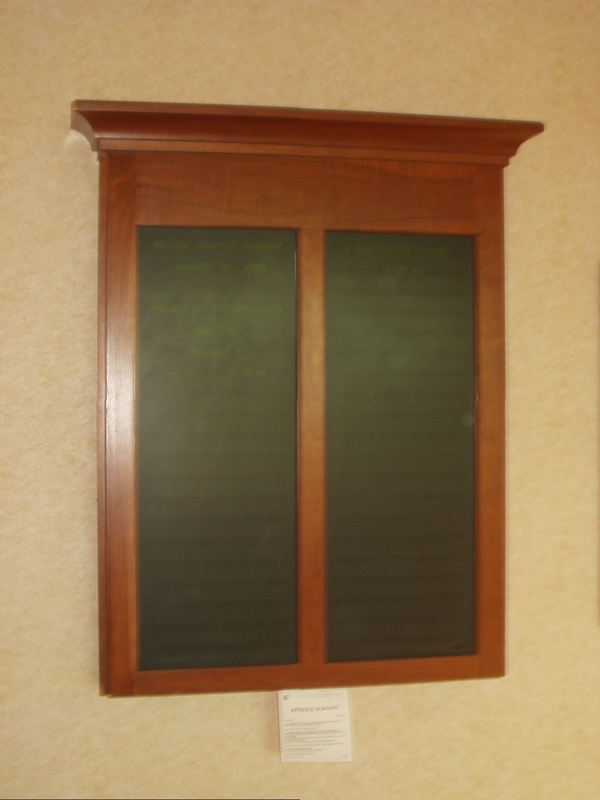 Arthur Hlavaty's name is on the message board, because his picture fell down inside it when I tried to put it on top. 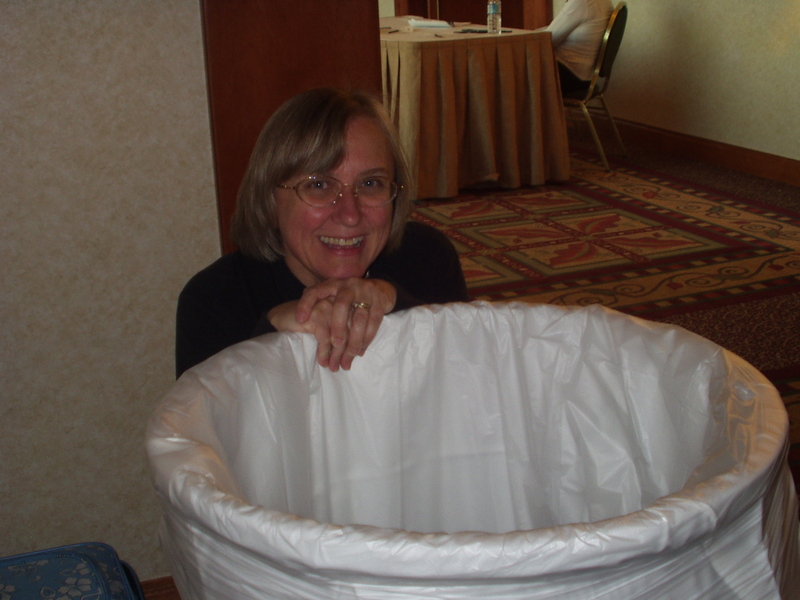 Julie Czerneda, hiding behind the trash barrel. 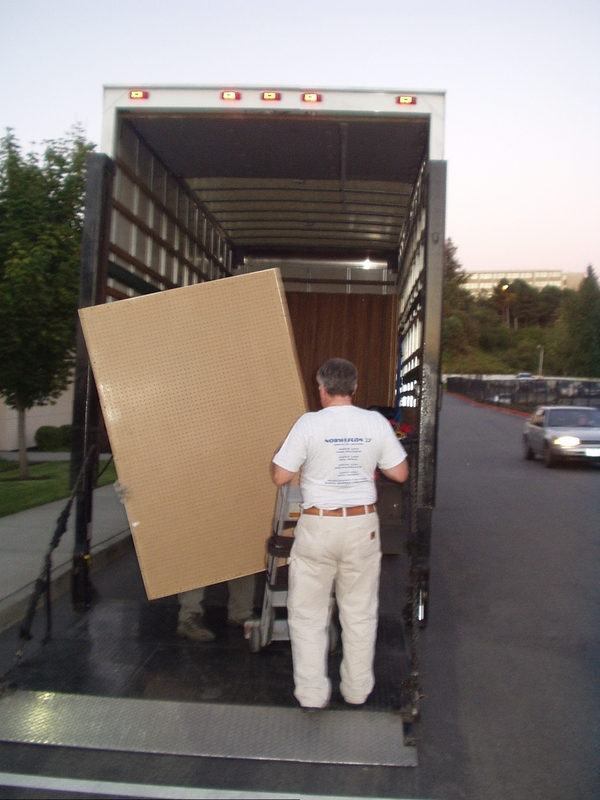 A bunch of people grappling with 4'x6' pegboard things, here comes one of them off the truck. 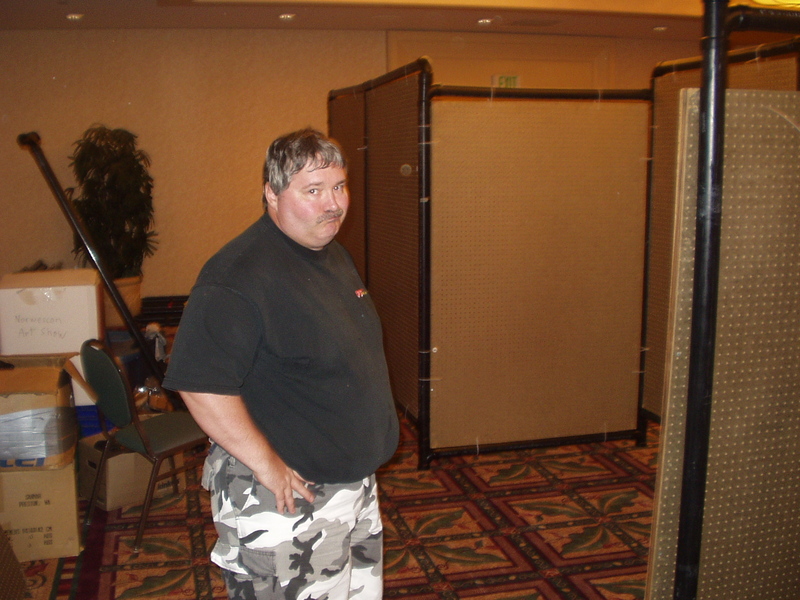 It's a pair of sheets of pegboard on a 1x2 frame. 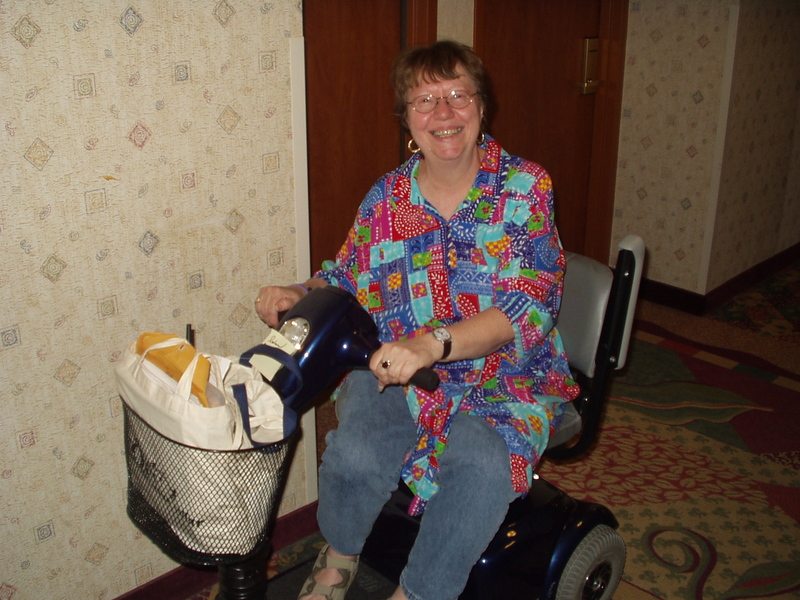 Sally Woehrle on her scooter. 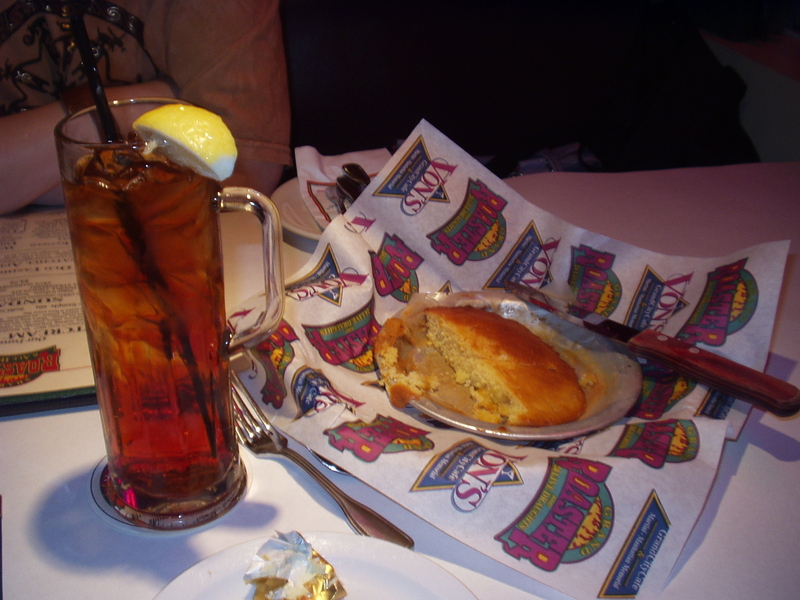 Appetizers -- a monster iced tea and a fresh cornbread. 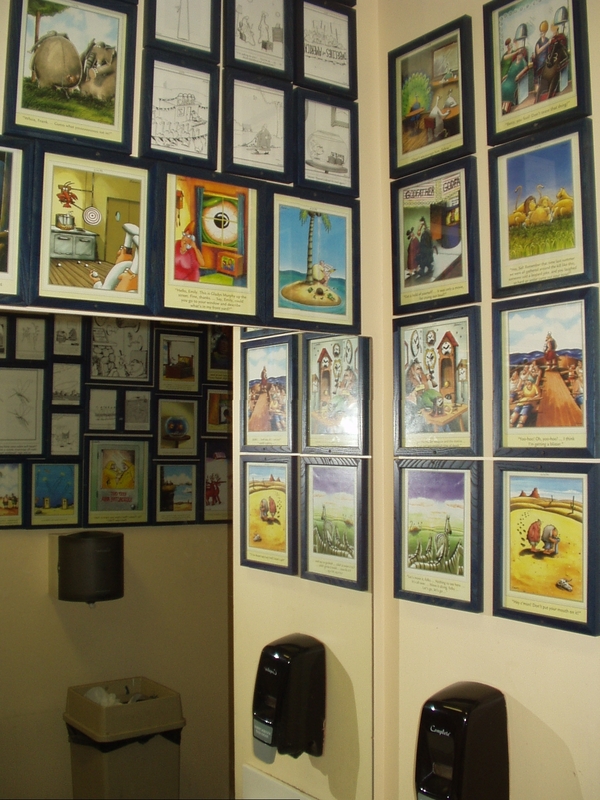 The mens room at Grand Roaster has "Far Side' cartoons all over the walls. 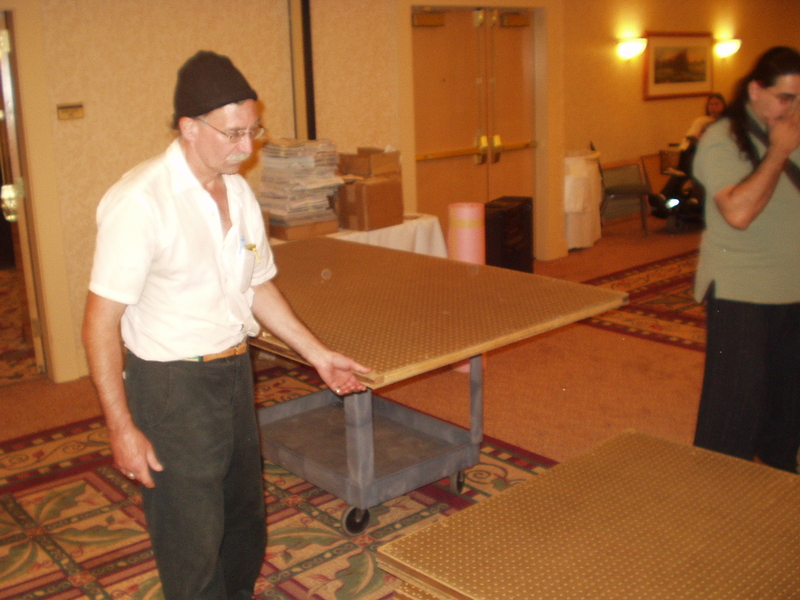 F L Ahsh and "Panther" (Carlos Lopez) putting some 4'x6' pegboard on a cart. Someone and someone else deciding how many to take per trip. 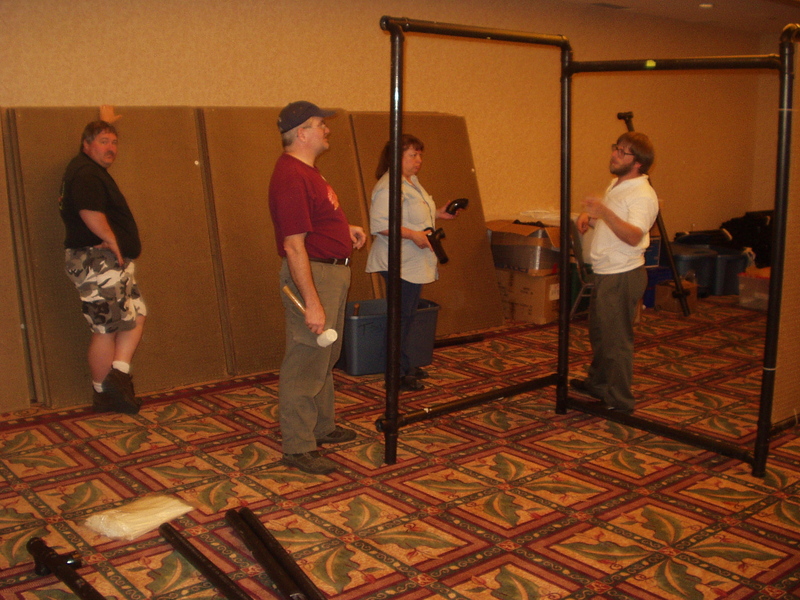 Several people setting up Art Show. Jim Granger and Leonard Bernstein. 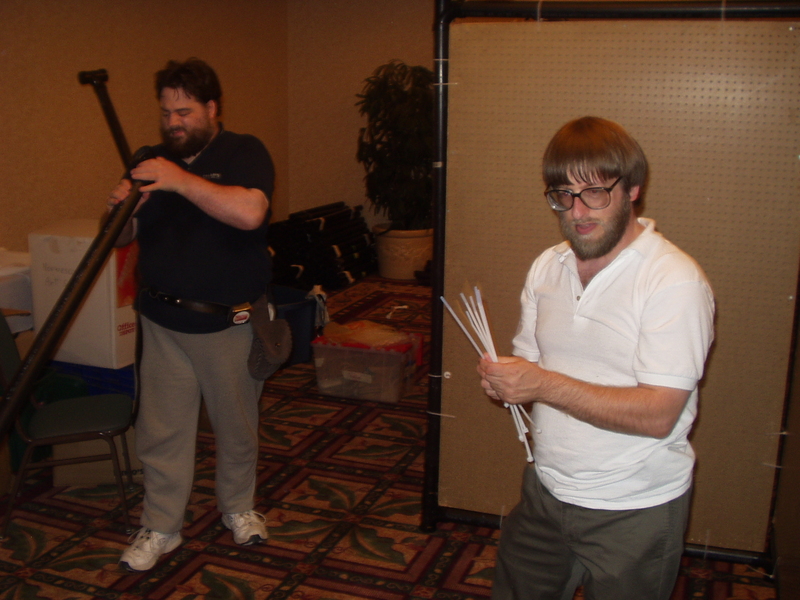 [22/31] Don Alexander, aka "Durlyn's Husband."